Have you ever wondered about what goes on underwater long after the sun goes over the horizon? 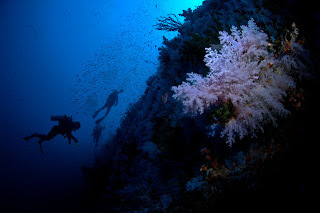 If you loving diving in the daytime you will love the transformation of discovering the reef at night by torchlight. 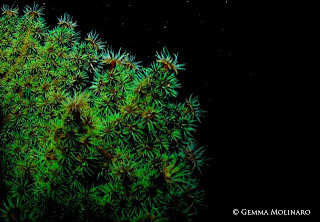 Aquatic life takes on a whole new appearancein the dark, colours appear more vibrant when illuminated against a dark backdrop. Some fish that are active in daylight hours go into hiding, find safe places in the coral to sleep, while others come into their element hunting and feeding in the dark. If you cover your light you may also be able to see tiny living partlicles of bioluminescencelight up the water colum. 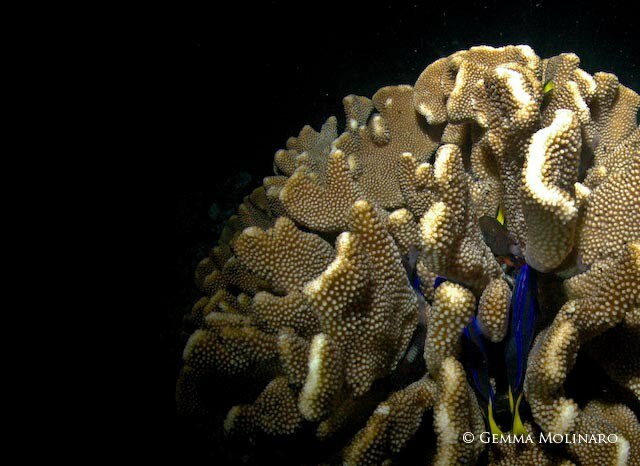 Come join us at Night and explore Fiji's amazing reefs by night. Situated on the Somosomo straight off Taveuni, the 32 km Rainbow Reef is home to countless varieties of fish and invertebrate but what makes it so unique for divers is the amazing soft coral. 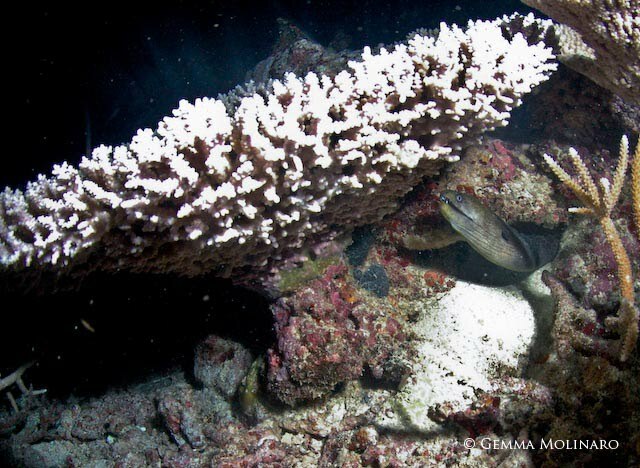 Soft Corals are soft-bodied polyps that lack limestone skeletons of their hard coral relatives. They retract into the reef so they appear invisible but when tides and water movement is running correctly, they inflate with water, extending their polyps into the current to feed. Their swaying bodies move like jelly in the current, and when they are in full bloom rich array of colors are truly spectacular. 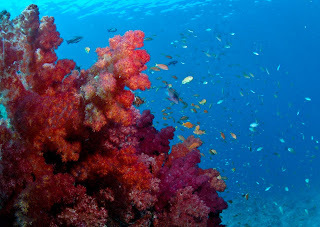 When the current increases so does the amount of plantivores such as antheas and other beautiful schools of reef fish. 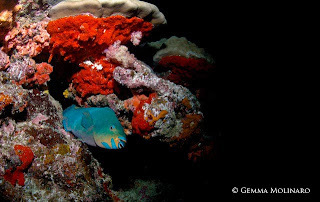 When you dive the Somosomo straight at the right time and the coral and fish life are at their best is easy to understand why Jacques Cousteau coined it the Soft Coral Capital of the World. 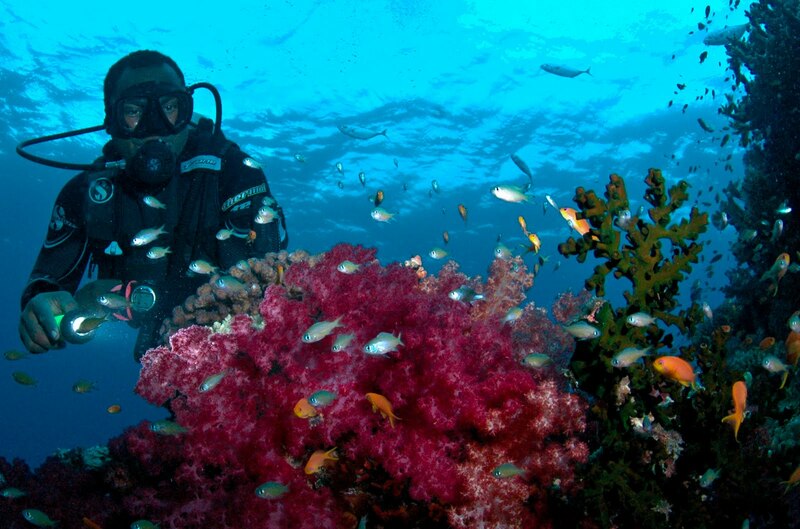 On the Tui Tai we dive a variety of site all dependent on the tides, current and conditions. One of our many favorites is the Great White Wall. 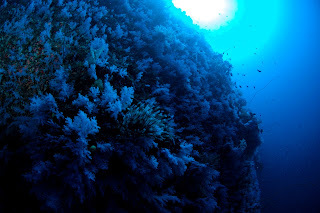 This is a wall dive with lots of colorful soft corals, marine life and swim throughs but when the conditions work with us we descend down the wall and at about 20m/60 ft a beautiful white iridescent coral comes out and covers the wall. It is difficult to describe this breathtaking display so I have a few photographs to give you a better idea. 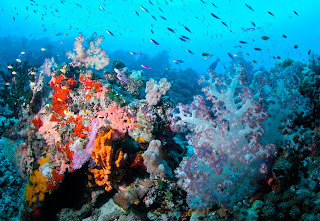 The Rainbow reef is only one of our many dive/snorkeling highlights as we sail around remote islands in Fiji’s North. 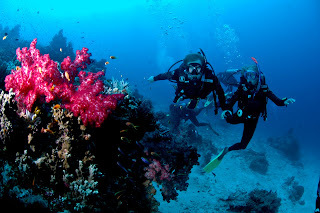 The different islands provide a large amount of diversity both above and below the water. Underwater we have greatly varying topography, marine and coral life every place we visit. 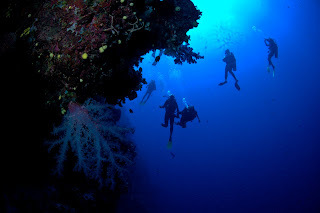 Come join us on the Tui Tai to experience firsthand the amazing natural phenomenon Jack Cousteau coined as "The Soft Coral Capital of the World". 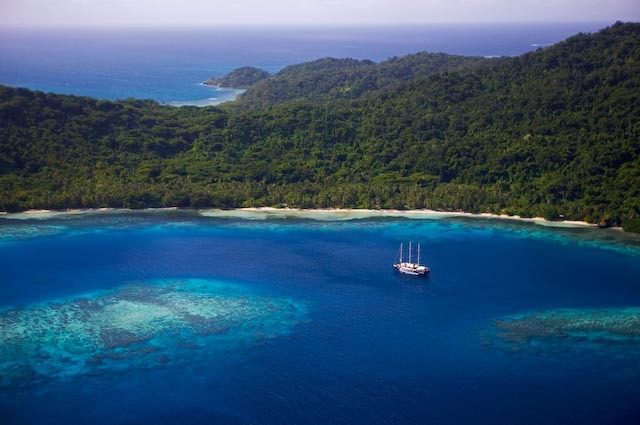 Join Chris McLennan for his intrepid photo expedition, exploring Fijian Islands on the Tui Tai. Join Chris McLennan, world renowned travel photographer on his unique Photo Tour on the 9-14 May 2011. 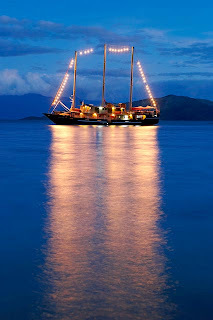 This photographic tour is based off a 140 foot yacht TUI TAI, that explores the remote Northern islands of Fiji. Experience and photograph Fiji on this 5 night/ 6 day luxury ,expedition cruise. The Tui Tai explores islands and places not commonly visited by tourists, to discover spectacular scenery including waterfalls, rain forest, beaches, marine life and interact with the wonderful local cultures. Chris will be on hand to offer practical advise, tutorial and assistance throughout the trip, ensuring you are not only getting the images you are after from your tour but you come away with new knowledge and techniques to make you a better photographer in the future. 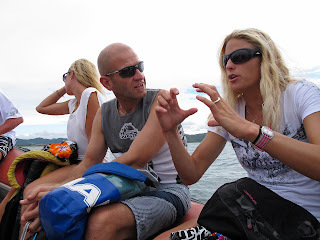 Take this opportunity to have an amazing travel and photographic opportunities in a small group( maximum 10 people), and to learn first-hand from one of the world's most experienced and award winning travel photographer. Limited spaces are still available on this Photos Tour so take this opportunity to hone and develop you photography skills with Chris in the amazing islands of Fiji. Contact us for more information on joining the photographic expedition.